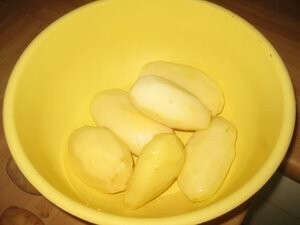 Wash and peel 6 potatoes. 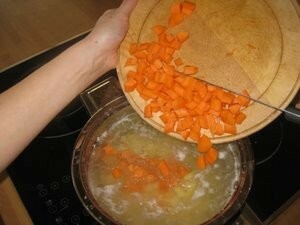 Wash and scrap 6 carrots and cut them to little pieces. 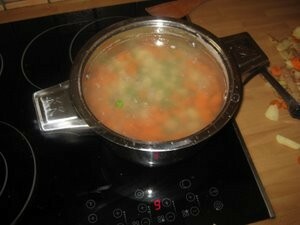 Put carrot in boiling water. 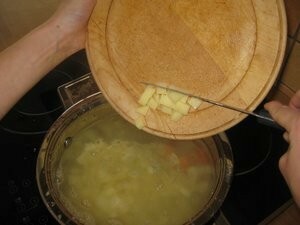 ...and put it in the water with carrot. 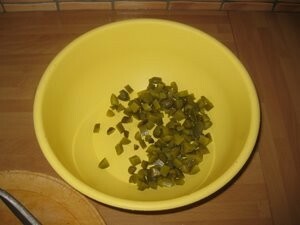 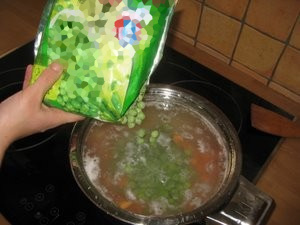 Add 250 g of peas. 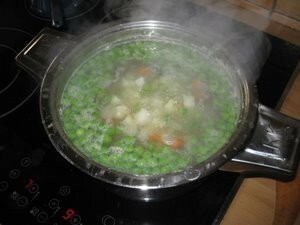 The quantity of peas should be about the same as quantity of potato and carrot. 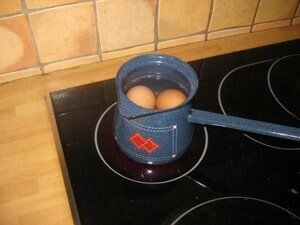 Put eggs in water and boil it. 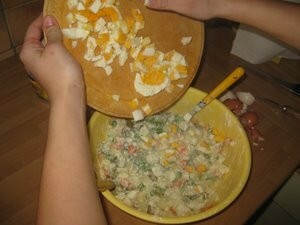 During cooking eggs mix the vegetables. 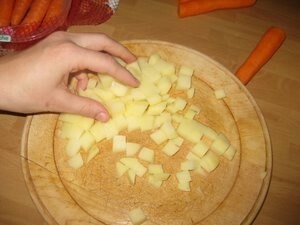 ...and cut them to little pieces. 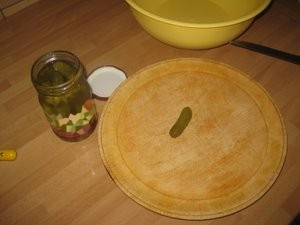 We will add them at the end. 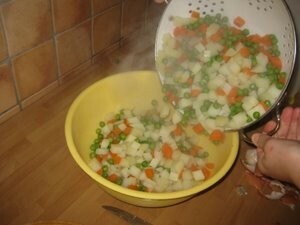 Try vegetables if it is already cooked. 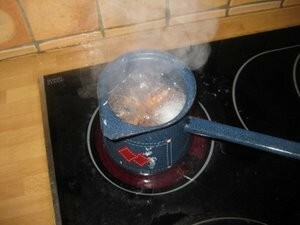 When the water boils turn off the stove and leave eggs in hot water for about 8 minutes. 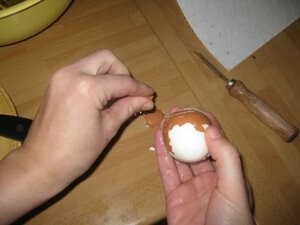 Click here, to see the recepie for hard boiled egg. 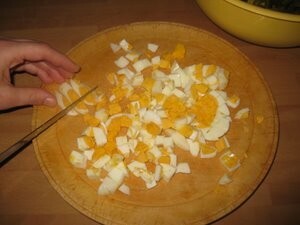 Cut peeled eggs to little pieces. 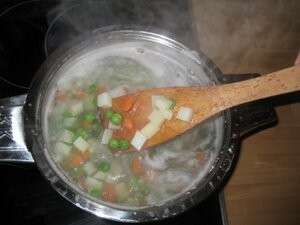 Decant water from cooked vegetables. 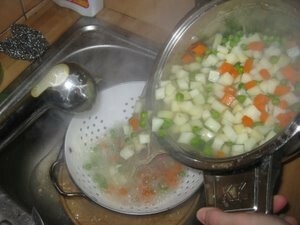 Add vegetable into bigger dish. 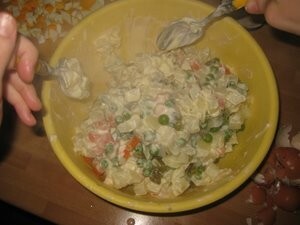 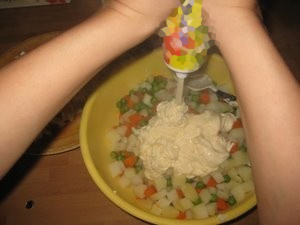 Add 400 g of mayonnaise. 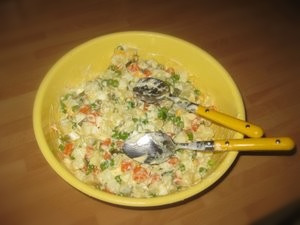 Add chopped eggs and mix all together again.